Toontrack's EZkeys Sound Expansion is an expansion sound library for Toontrack's EZkeys. 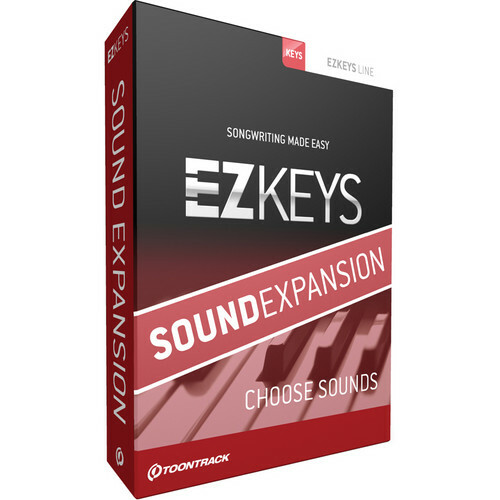 Add a stellar upright piano to your palette with Toontrack's EZkeys Upright Sound Expansion. Toontrack sampled an amazing Ostlind & Almquist piano from Sweden in painstaking detail. The bright, present sound of an upright piano is a perfect addition to the incredible grand pianos already found in EZkeys. Is this for any sound expansion or just the Upright Piano that's mentioned in the product description? Asked by: Carol A S.
This is the upright piano expansion (Ostlind &amp; Almquist piano) specifically for Toontrack EZkeys.